Squirky and his sister Emma discover that the capsule that he came to Earth in can also transform into a spaceship. They embark on an exciting space adventure with their first stop: the South Star! At the South Star, they meet Queen Stella, a beautiful and kind lady who seems rather sad and secretive. What is she hiding? Will she be able to help them find Squirky’s birth parents? What Happened to Planet Q? 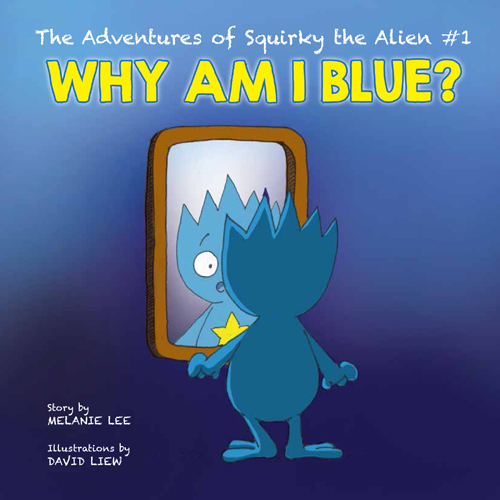 is the second book in The Adventures of Squirky the Alien series. Squirky and Emma land on Planet R and are treated as intruders. They are brought to the mysterious Red Commander, who seems especially unfriendly and unwilling to help. However, the Red Commander reacts strongly upon finding out who Squirky is. Why? Will Squirky get any closer to finding his birth parents? Who is the Red Commander? is the third book in The Adventures of Squirky the Alien series. Squirky and his sister Emma arrive at Planet S with the help of Mr Quentin and discover it’s a scary place with freezing weather and purple monsters! However, things get less scary when they befriend a gentle purple monster called Crystal. Her mama has been missing for two days, and she’s getting awfully worried! Squirky, Emma and Mr Quentin decide to look for Crystal’s mama, even as they search for Squirky’s birth parents. Where is My Mama? 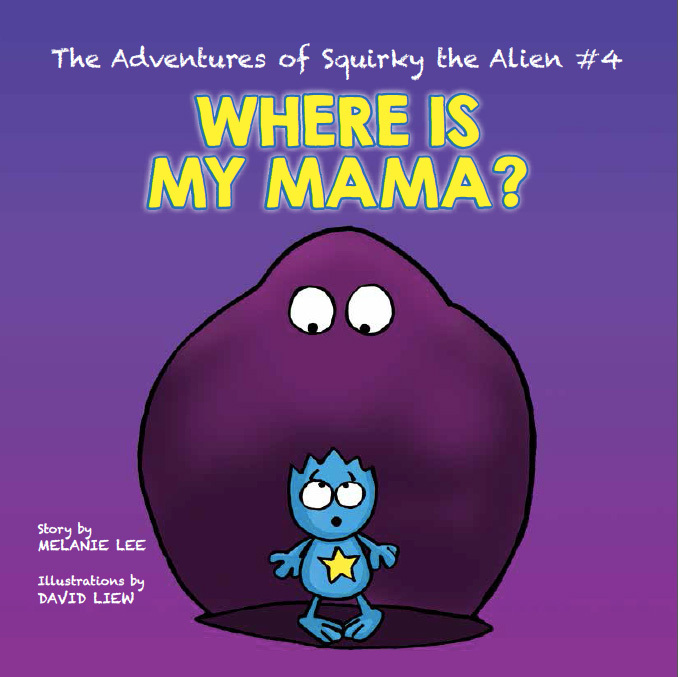 is the fourth book in The Adventures of Squirky the Alien series. Squirky and Emma return to Earth after their exciting space adventure. Daddy and Mummy help Squirky sort through his confused feelings after going through so much, but all Squirky really wants to know is if he will ever see his birth parents again. When Does the Search End? is the sixth and final book in The Adventures of Squirky the Alien series. This book series was written for my young son, whom we adopted a few years ago. This story is my way of letting him know that should there come a day when he wants to find out more about his origins and birth parents, we will support his search. At the same time, I hope that Squirky’s story will provide opportunities for adoptive parents to talk about adoption more openly with their young children. Unfortunately, in Asia, adoption is still a relatively taboo and misunderstood subject, and there are many negative connotations to what is essentially a beautiful coming together of families. 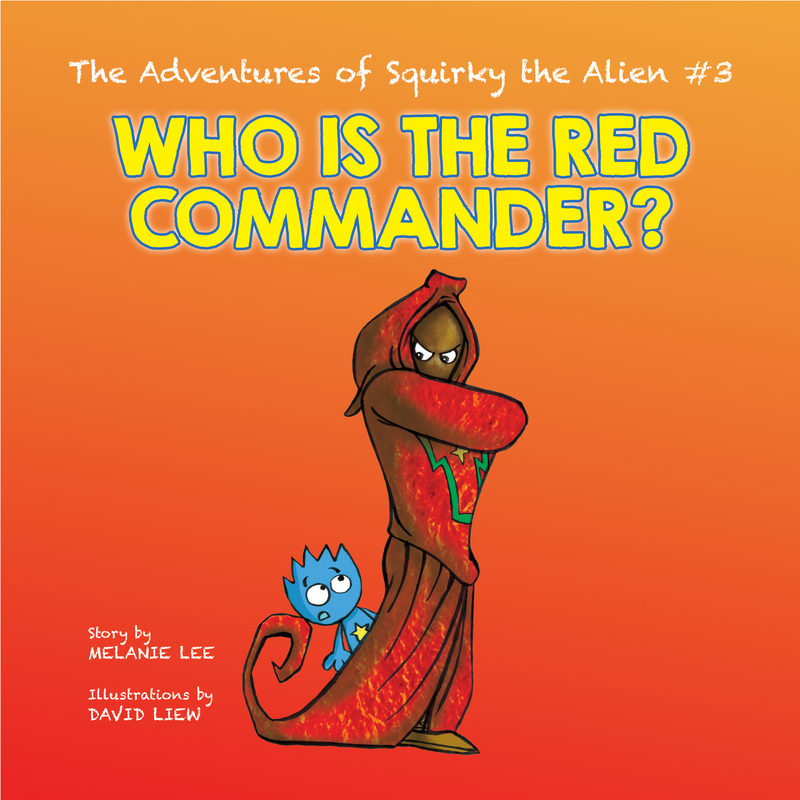 The Adventures of Squirky the Alien is not just for young adoptees. Any kid who has questions and seeks answers will, like Squirky, realise that any form of exploration is riddled with challenges, and it is only by overcoming these hurdles that you discover who you truly are as a person. May this be a tale to accompany many a child on their life’s journey. To join the Squirky community, please ‘LIKE’ our Facebook page! 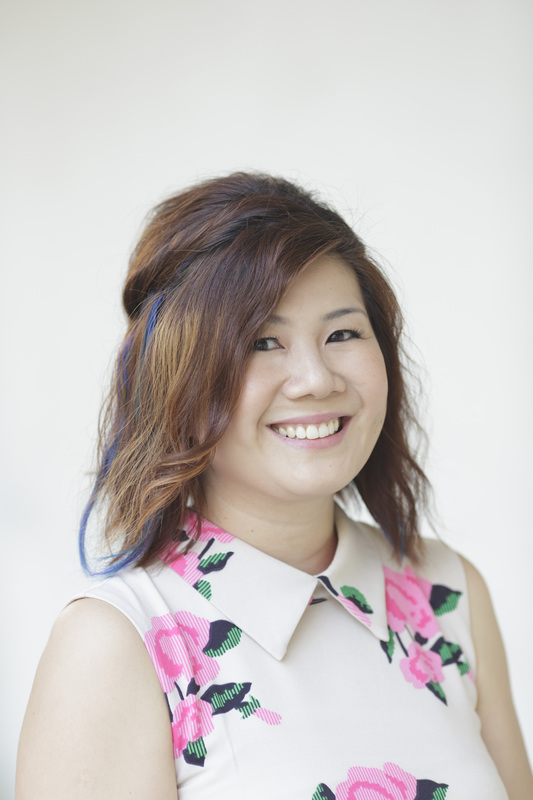 MELANIE LEE is a writer and lecturer. She lives in Singapore with her husband, Darren, and her son, Christian, whom they adopted a few years ago. She has previously published a spiritual book, Quiet Journeys: Finding Stillness in Chaos and a collection of short stories, Imaginary Friends: 26 Fables for the Kid in Us. For more information, please visit her website. 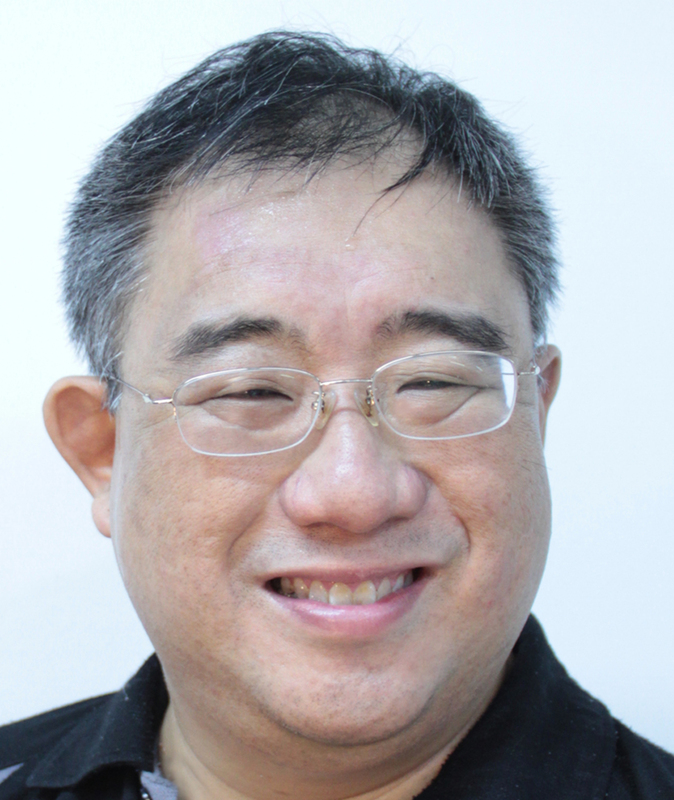 DAVID LIEW has once been described by members of the Singapore Maker Movement as a “polymath”. He illustrates children’s books when he’s not wearing his other hats of being an educator, researcher, historian, animator and model-maker. 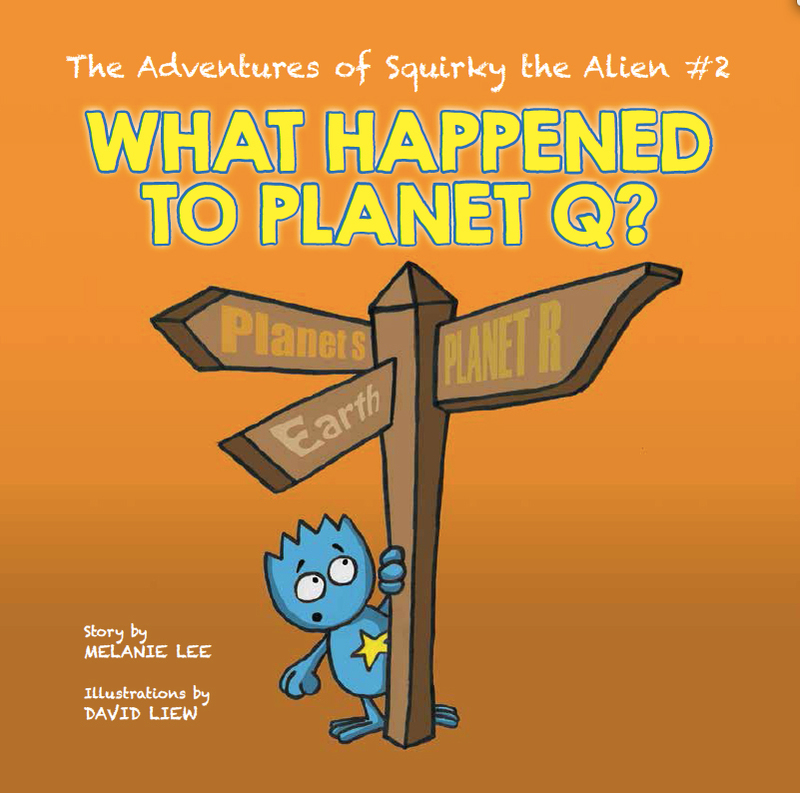 The Adventures of Squirky the Alien is the second series he has illustrated after the “Ellie Belly” series by Eliza Teoh. To view more of his artwork, please visit his Facebook page.